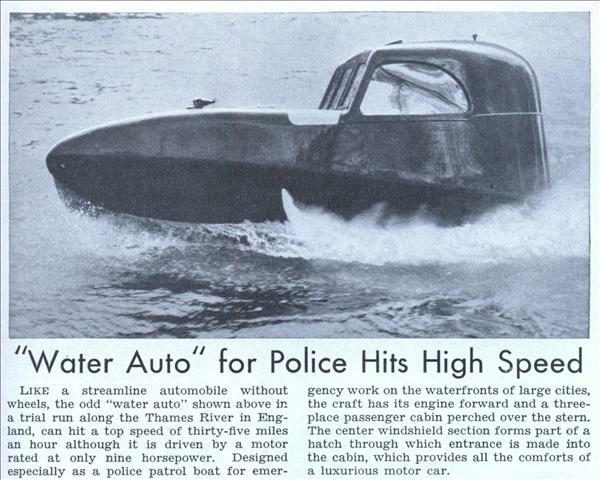 Like a streamline automobile without wheels, the odd “water auto” shown above in a trial run along the Thames River in England, can hit a top speed of thirty-five miles an hour although it is driven by a motor rated at only nine horsepower. Designed especially as a police patrol boat for emergency work on the waterfronts of large cities, the craft has its engine forward and a three-place passenger cabin perched over the stern. The center windshield section forms part of a hatch through which entrance is made into the cabin, which provides all the comforts of a luxurious motor car. 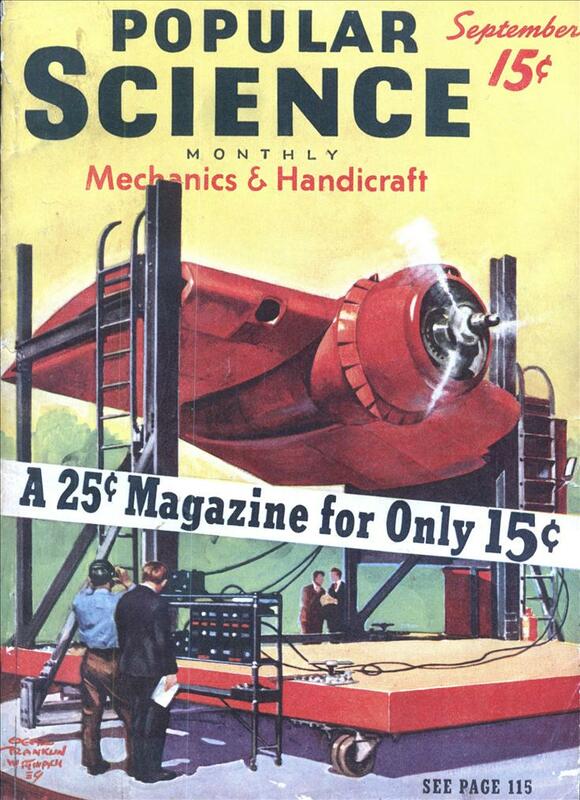 Predecessor to Bond’s Q-boat? http://www.jamesbondmm….